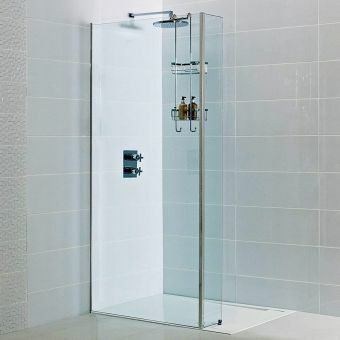 Opting for the clean simplicity of a walk-in wet room shower area, the Ideal Standard Synergy shower panel will transform your bathroom. 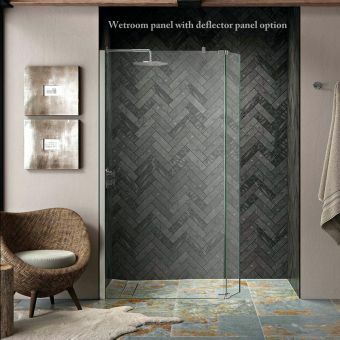 Crafted from toughened 8mm glass and featuring a unique frosted section across the central portion, this modesty strip will keep your best assets under wraps. 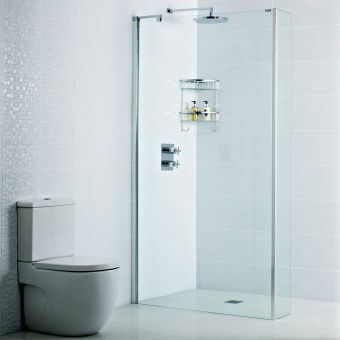 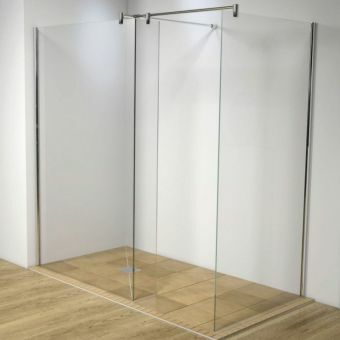 The reversible design allows you to fit it to either side of the room without having to choose a handing and with a simple sealing channel along the bottom of the glass, a beautiful streamlined look is achieved quickly and easily. 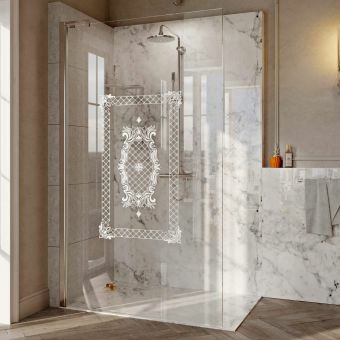 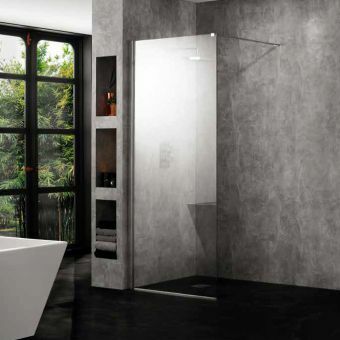 Coming in three widths of 900, 1000 and 1200mm, this delightful shower screen will help to create a zone dedicated to luxury and perfectly in tune with your own sense of style. 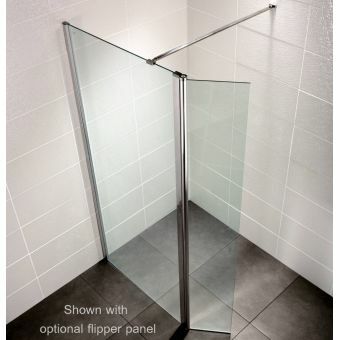 There is a choice of two bracing bars available covering a total width from 650 to 1500mm so your screen will be perfectly stable and steady. 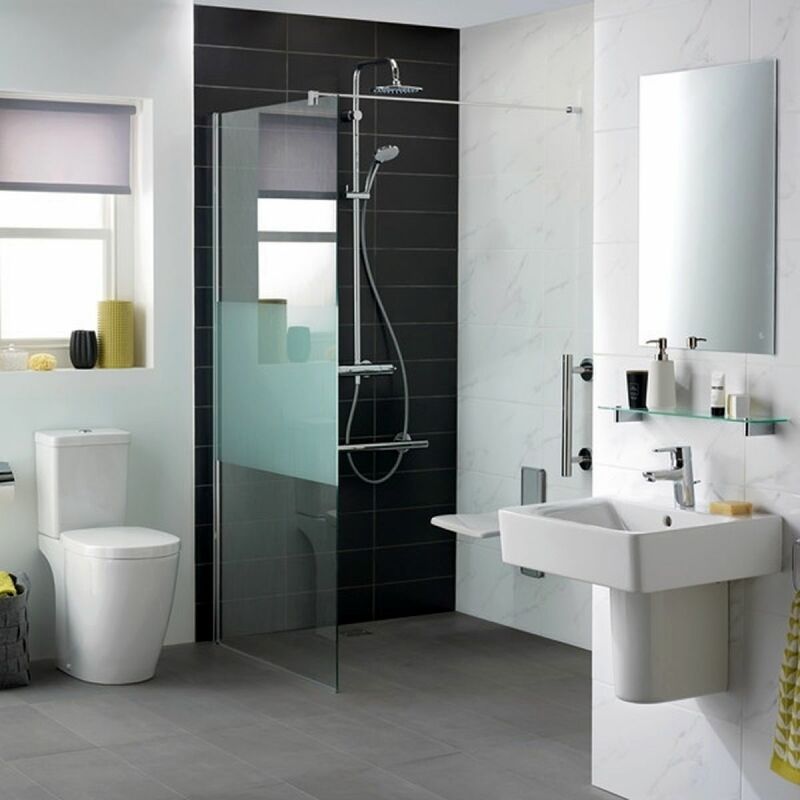 The silver finished wall profile will blend in with other bathroom products as well as allowing up to 23mm of vertical adjustment so you can achieve a first class installation.